Which factor do you choose today? Sunbada symbolizes modern sunbathing. Respecting the sun and awareness of its power are key. 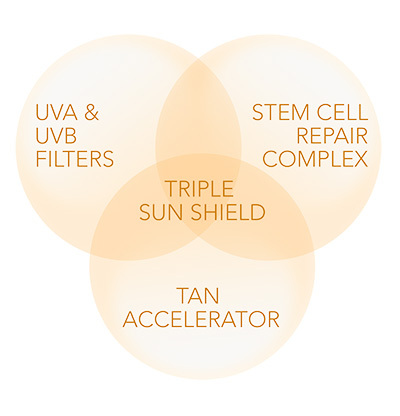 Sunbada products include our unique TRIPLE SUN SHIELD® formula. It’s time for modern sun worship. "THE SUN FACILITATES LIFE ON EARTH. BESIDES ENJOYING THE QUALITIES OF THE SUN, WE SHOULD RESPECT ITS EXTREME POWER. ALWAYS PROTECT YOUR SKIN AGAINST UV RADIATION"